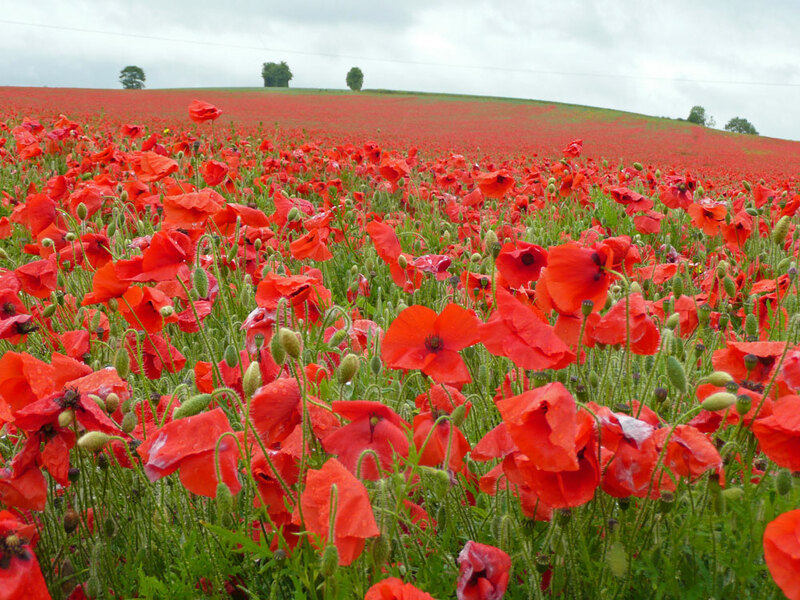 Poppies with their large red flowers with blackish centres are unmistakeable cornfield annuals. There are, however, four species in Britain which could match this description. Common poppy can be told from the three rarer species by its rounded, flat-topped and hairless seed capsules. In flower from June to August. Common poppy is found on a wide range of soils but is most frequent on light, calcareous soils. It is pollinated by insects, particularly bumble bees. The seed, which is produced from July onwards, can remain viable in the soil for many years. Common poppy was introduced into Britain along with agricultural crops at least as far back as the Late Bronze Age. 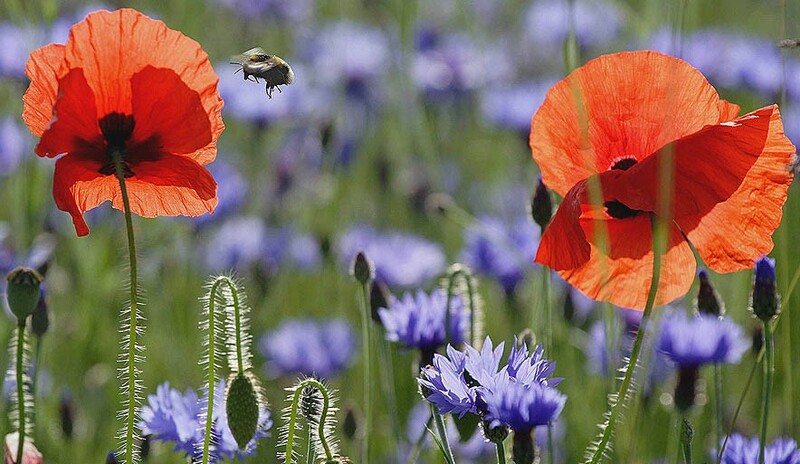 As an annual, poppy is reliant upon its seed for regeneration and this seed needs open ground to become established. In parts of its native range vegetation dies back in summer providing this open ground, but in our temperate and damp climate disturbance of the soil is required. These disturbed conditions are almost always found in artificial habitats such as ploughed arable land. 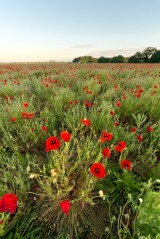 To get Poppy to come again from self sown seed the ground must be disturbed in the autumn. This gives space for the next generation of seedlings to establish. See above and cornfield annuals for more information. 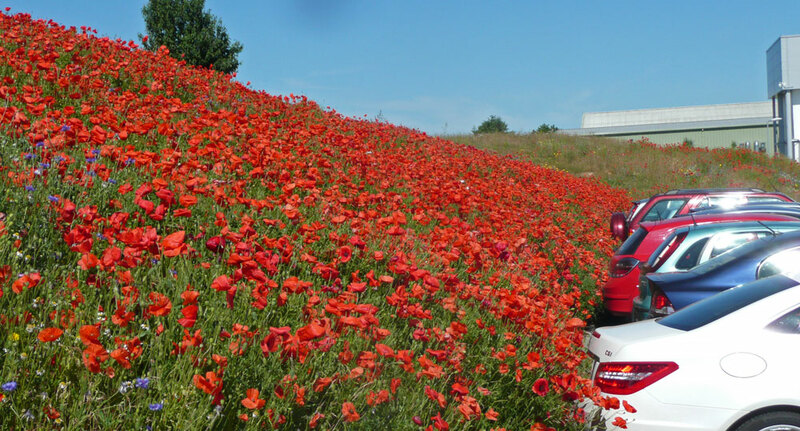 One of the commonest questions we are asked is "can I have poppies in my meadow?" The answer unfortunately is no. 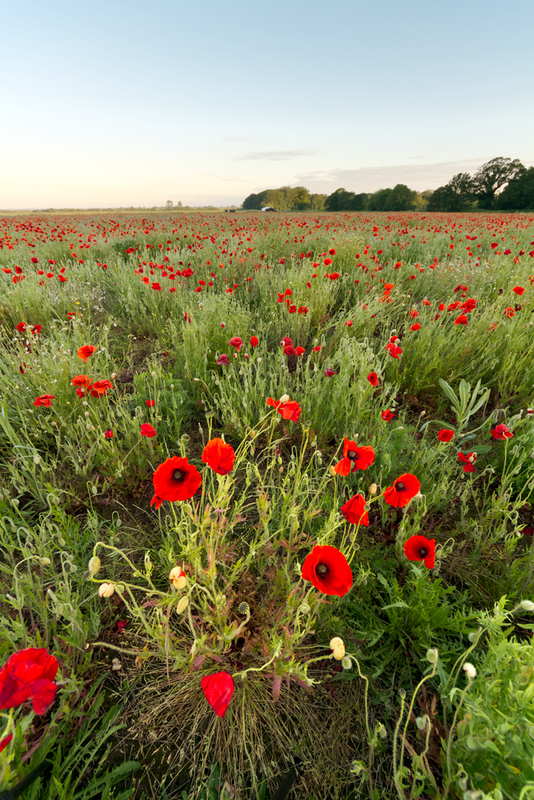 Poppies can be used on their own or in conjunction with other cornfield annuals to provide a nurse crop when creating a meadow but once the sward has closed the poppies will disappear. Aggressive scarification or cultivation of the soil would help the poppies but at the expense of the meadow plants and at the risk of allowing unattractive weeds such as thistles to become established.